Most of our products are completely made by hand from start to finish. We strive for uniformity and consistency within our product lines but due to the handmade nature, it is important for the consumer to understand that each product is unique. The traditional skill for making these products have been handed down through generations and have enabled them to make these beautiful products. 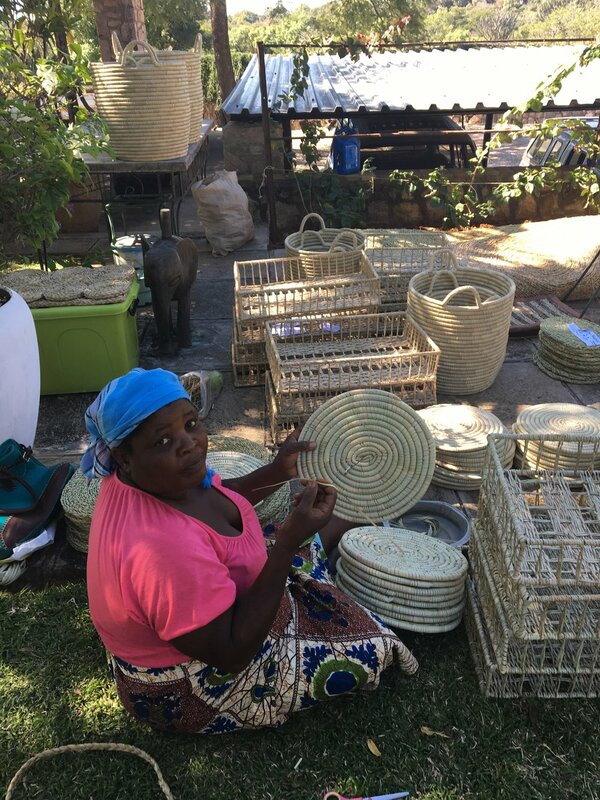 Ilala palm is used to make the majority of the basketry products for By Chance. 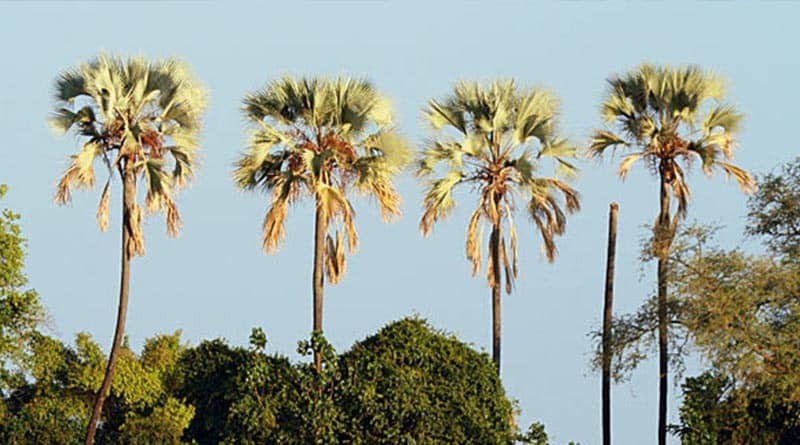 Ilala palm is indigenous to Zimbabwe and grow in dry and sandy areas. The leaves, once dried, are naturally cream in colour, however, to achieve the various design patterns traditional dying methods are used in creating the desired colour palette. The women boil up a brew from a selection of bark, roots and organic matter. They then separate the palm leaves and steep them in this brew overnight to create various shades. The Ndebele people are traditionally farmers and would use their baskets in their villages to collect and store grain. 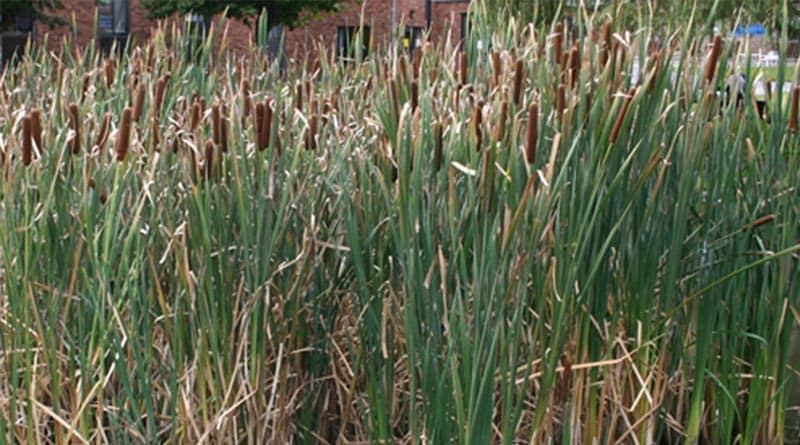 Ibhuma reeds, otherwise known locally as “bulrush, are often found close to water such as dams and waterway and are the largest component in our mats. The reeds are stockpiled during the dry season when access to these areas is generally easier and are then dried until they lose their green colour. 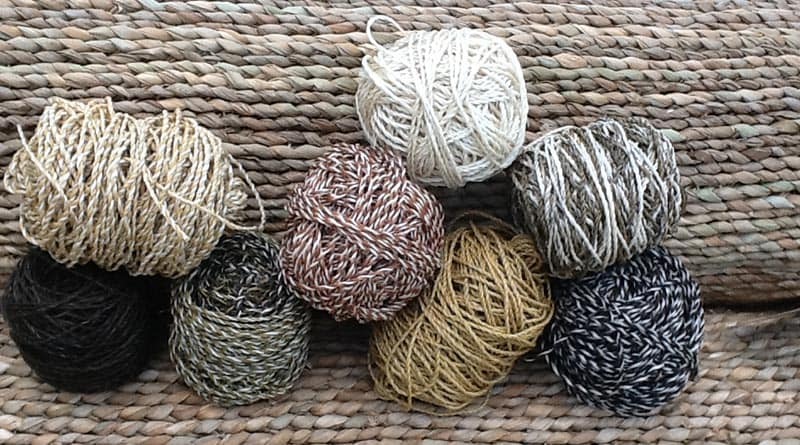 Once dried the reeds are then plaited and rolled into large balls and are now ready for weaving. During the weaving process the women use their toes to secure each length as then begin twisting and plaiting the rushes to the desired length. During this process, the younger members of the family are sent into the bush to gather Sisal which is used to bind the mats. Twisting and rolling of the Sisal begins until the mesh forms a long thread. This thread is then used to bind the mat into the desired size. Dimensions of the mats are sometimes measured by as simply a drawing in the sand or lengths of string due to some of the weavers being illiterate. Sisal, a species of Agave, is traditionally used in the making of rope or twin and is used as the binding element during the matting process. It is well known for its durability, flexibility and porous nature making it easy for dyes to be absorbed. The various colour dyes used are all from local trees which are native to Zimbabwe. Black dye is made by using the leaves from the Umdwada tree, found mainly in woodland areas. Yellow dyes are produced through the leaves of a tree known as the Uchane. Brown dyes are produced through combining the roots of the Isinga and Umhlahlampethu trees. The Buhera baskets are made from natural cane sourced in the Bohera district. The cane is soaked in water, woven and then sealed with a clear varnish which protects it and gives the basket a matte finished look.